You can play your video in a frame shaped like a circle, arrow, star, and a call out, or any other shape that is located in the Video Shapes list. 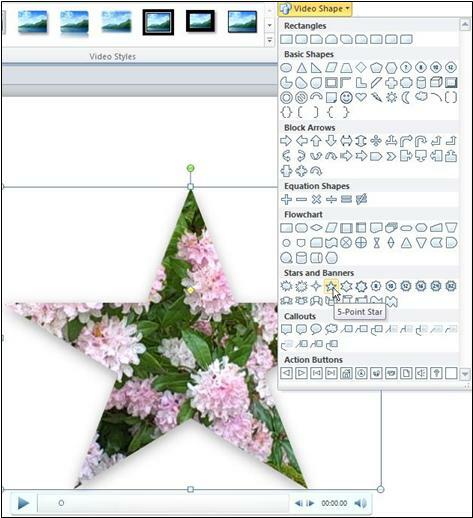 After you apply a shape to your video, you can add a border, special video effects, or recolor your video. Under Video Tools, on the Format tab, in the Video Styles group, click Video Shape. Select the shape that you want your video to play in.